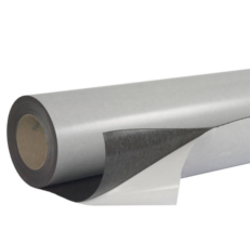 Our magnetic sheets are calendared (fed through rollers to achieved the desired thickness) and supplied in roll format. 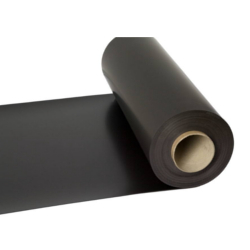 The sheets are made in a variety of thicknesses from 0.3mm to 2mm. We find that our 0.5mm and 0.75mm rolls are most popular. 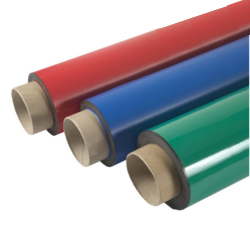 The rolls are supplied in industry standard widths of 620mm, 1020mm, and 1270mm. In addition to this, we offer specialist widths of 450mm and 850mm. 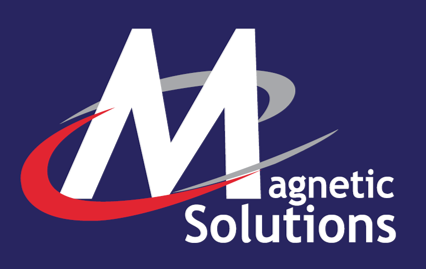 Our flexible magnetic sheets have some of the highest holding forces available in the industry today. Using flexible magnetic sheets is an excellent way to produce a high impact visual display. 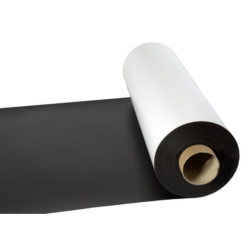 Flexible magnetic sheets can also be applied to point of sale applications to give a quick response in a fast changing environment. The magnetic rolls can either be printed on directly or used with a self-adhesive backing so it can be applied to a traditional print. The material comes with varying finishes; plain-faced, white/coloured vinyl (gloss and matte), and an adhesive-backed material. Each finish is suitable for different applications, explore our options below.